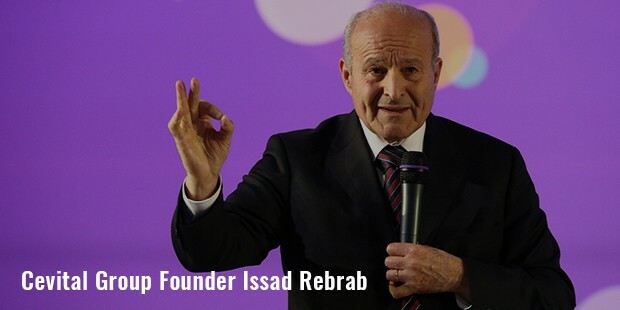 Issad Rebrab, a self-made man, is best known for running Cevital, the largest conglomerate in Algeria. It is one of the biggest sugar refineries across the globe, with an annual output of around 1½ million tons. Other than that, the group also produces margarine and vegetable oil. Trained for accountancy, a client in 1971 advised him to invest in a metal company, and after that, he expanded into food. By 1998, Rebrab was confident enough to incept Cevital, which today employs more than 13,000 people in the country. 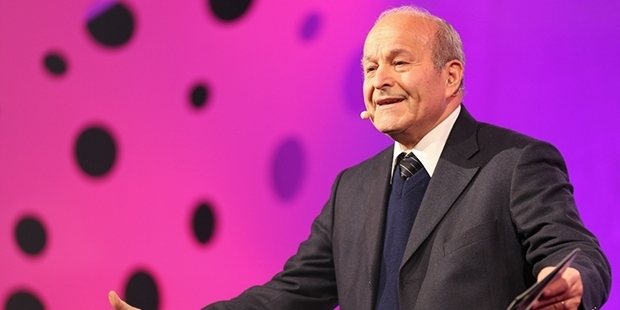 Rebrab was one of the very first Algerians who entered entrepreneurship after independence, and became the first billionaire of Algeria. Son of revolutionaries who struggled for the independence of Algeria, he was not just a destiny to be so successful in his career. It was his hard work and determination that gave him such a big name in the industry. Issad Rebrab came from a humble family, and completed his studies from a modest vocational school. After finishing his graduation, he started teaching business law and accounting, but soon abandoned teaching and established his own accounting firm in 1968. Here, one of his clients advised Rebrab to invest in his metallurgical construction business, and then, there was no looking back. He knew that he was taking a risk, and ‘at worst, I knew I could always go back to teaching’ he says. In 1971, Issad acquired 20% capital of Sotecom, a metallurgic manufacturing company. With this, he entered the world of business, and created many other companies in the same industry. In 1995, his major installations were destroyed in the terrorist attacks, and Rebrab had to leave Algeria and live in France for a few months. But in 1998, he returned with the foundation of Cevital, which was perhaps the largest group in agricultural sector at that time. 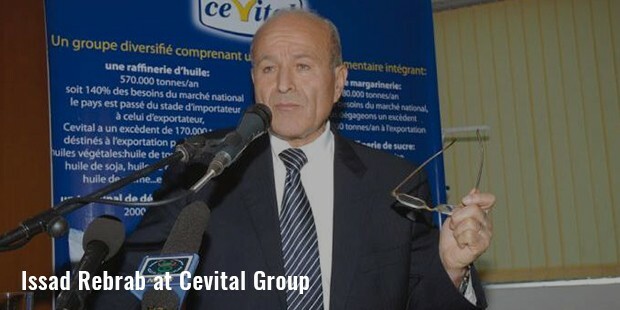 Today, Cevital is one of the largest Algerian exporters, also providing liquid sugar for the Algerian drinks industry. In 2012, Cevital Agro provided 450,000 tons of oil for domestic consumption. Some part of Cevital’s production is kept for domestic use, while the excess is exported to different parts of the world, including West Africa, Europe and Middle East. In addition to being the head of the Cevital Empire, his industrial activities also extend to petrochemistry, naval, automobile construction and steel industry. Rebrab also has plans to build a town which will accommodate more than 250,000 people. He has a subsidiary called Samha, through which he becomes a sole agent for Samsung Electronics in Algeria. Cevicar, also his subsidiary is the sole agent of Europcar, a car rental company. Other than these, he serves as an investor in many businesses of the country. Rebrab has 5 children, one daughter and four sons, all of whom are involved in his business. With his efforts and commitments, he has recorded huge success over the last century. 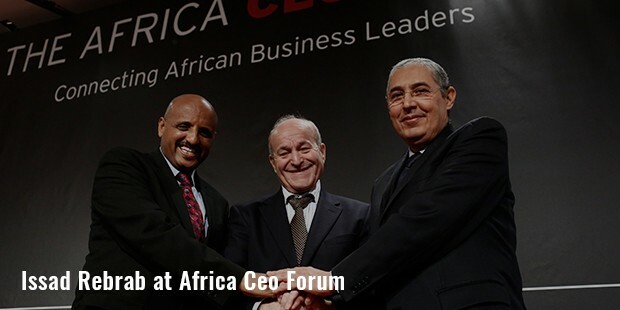 He is among the very few businessmen in Algeria who have worked towards expanding their activities out of the country. So, Rebrab rules, whatever be the industry. Neuroleadership: How does it Affect Leadership Skills?